I filled the Datasheet with both est/north UTM and lat long coordinate and I choose KML -> Multiple Points (Flexible). I cannot find in the tree items (left side of the attached screenshot) the Custom Icon item to be checked to use custom icon files, as described in the instruction tab (left side of the attached screenshot). How can I show the Custom Icon item? Perhaps the name of that property is misleading. It allows you to specify an icon from our library in the Icon Number column in your spreadsheet. You can add your icon to the RockWare library by navigating to C:\Users\<YOU>\AppData\Local\RockWare\RasterSymbols and adding your file as a Window's Bitmap (bmp) with a Width and Height of 64 pixels and a Color Depth of 8 bits. Perhaps it will be useful to show some link to RasterSymbol in the Project Manager tree under Misc. Table and in the Help File (Columns Type page). Enable 'show Hidden file' in folder property unless you could not find the folder. Thanks to TotalCmd command line auto completation for accessing the folder without changing Explorer Hidden file option. I forgot most people can't show the hidden folders and files since that's the first thing I turn off on a new computer. It would be good idea to add a method for adding user icons, I'll add it to the wish list. 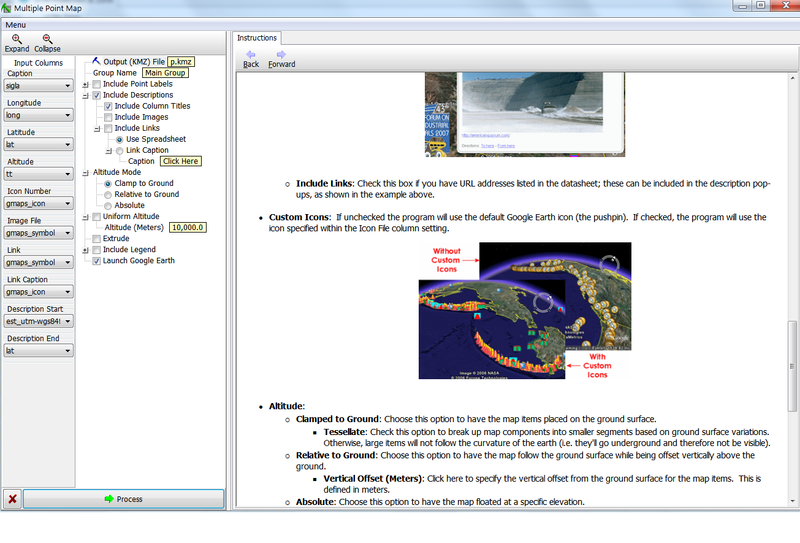 We've got a lot more tools coming for Google Earth in the next version. Check out the RockWare YouTube Channel if you want a preview.